As a wedding planner and photographer, I don’t question the bride or groom about the reasons why they are getting married. It’s assumed that they are just two people in love who want to spend the rest of their lives together. Plus, one shouldn’t question a gift horse in the mouth because weddings are a comparatively lucrative business here in Lake Tahoe, and the more that marry, the merrier for me (pun intended). At times, however, other factors unrelated to love appear to weigh in, such as an uncharacteristic group of numbers like 12-13-14, which cause wedding bookings to soar. The peculiarity of these numeric orientations unquestionably create a fascination, and sometimes even a matrimonial frenzy. 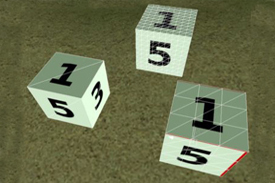 December 13, 2014, is certainly an unusual mathematical formation and a unique date on the calendar for planning a wedding, and like other similar arrangements of numbers in former years, couples scurry to Lake Tahoe to take advantage of such an infrequent occurrence. In the last ten years, there have been quite a few eccentric integer configurations, with the last classic episodes of this nature occurring on December 12, 2012, or 12-12-12, and November 12, 2013, or 11-12-13. 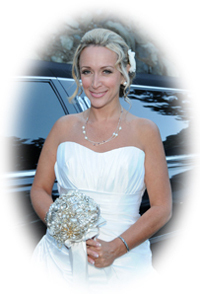 Unfortunately, both 12-12-12 and 11-12-13 occurred just prior to the onset of winter, a time when the wedding business slows due to Tahoe’s unpredictable snow season, so a spike in nuptials didn’t actually transpire as anticipated. In contrast, however, one of the busiest days in the past decade was during the summer wedding season on July 7, 2007, an atypical date that encompassed the numerical lineup of triple 7’s. Tahoe’s known for many things, and casino gaming is one of them. The date 7-7-7 wasn’t an exceptionally busy one for local wedding vendors just because of the triple numbers themselves, but also because of what the specific numbers represent. In a gaming town, 7’s are a desirable commodity and denote money in the pocket, especially when it comes to slot machines and craps tables. 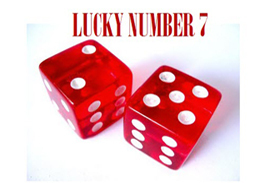 Yes, it was the lucky number seven that presented a great draw to the town on that day and had many couples walking the aisle of matrimony. 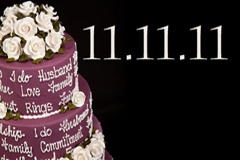 Even though the irregular occurrence of triple digit alignment of the same numbers won’t be happening again for a very long time – January 1, 2101, to be exact, which translates to a 1-1-1 synchronization – the marriage minded who want to cash in on the oddity of the calendar that’s just around the corner can still plan their wedding on an equally sporadic occurring sequence of numbers, 12-13-14 (military personnel can have even more fun and take it a step further by marrying at 1500 hours or 12-13-14-15). If you miss the affair, this type of chronological ordering of numbers – similar to the triple digit phenomena – isn’t going to occur until a lengthy while passes, with another opportunity not arising until the turn of the next century. So if you can’t wait that long to get married and an offbeat numeral sequence has some significance to you, 12-13-14 is just ahead, the last of classic wedding dates of the age. Check out the Tahoe Blog for more commentaries about weddings and other interesting facts about Lake Tahoe. 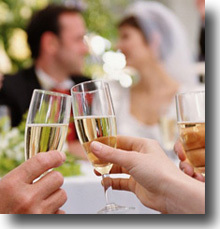 You can also visit our website and take a tour around the lake when you visit popular wedding sites Tahoe has to offer.